Editor’s note: The following column was written by Sarah Rolph, who is writing a book on how an oyster farm lost its lease at Point Reyes National Seashore in California. To those of us who were close observers of the dis-information war conducted against Drakes Bay Oyster Farm by a clique of activists wearing the mantle of environmentalism, it is readily apparent that a dis-information war is being waged against the Point Reyes ranchers by a similar clique of activists wearing that same green disguise. Before bringing suit against Point Reyes National Seashore to stop its Ranch Comprehensive Management Plan, the anti-ranch groups took advantage of that plan’s public scoping process to prepare the battlefield with a false narrative. In addition to sending anti-ranch letters in their own names, these groups also spent time and money to create the false impression that their message is popular by using their membership mailing lists to orchestrate thousands of public comments that echo the group’s narrative. It’s the same playbook the anti-oyster-farm activists used: alarm the group’s gullible if well-meaning membership with a false narrative, give them a form letter or talking points with which to swamp the public process, then issue a press release claiming the public has spoken. The anti-oyster-farm activists spent big bucks, generating an astonishing 45,000 exact-match form letters calling for the removal of the oyster farm. These form letters made up about 90 percent of the total comments received; months later, when public interest had died down, these 45,000 comments would be quietly set aside from the total count as the NEPA law requires for exact-match form letters, yet the wildly inflated numbers were still quoted in the press and in court. In the case of the Ranch CMP, the effort was more modest. Still, they pushed the number of comments to over 3,000. When you think about it, there’s very little chance that 3,000 people had something substantive to say about the scoping phase of a narrowly-focused planning effort in Point Reyes, California. The notion that these are all sincere public comments seems even more unlikely when one learns that 75 percent of these comments came from outside the state. And 13 percent were international! I guess you go to war with the mailing list you’ve got. Private ranching operations do not benefit the public for which this National Seashore was created. NPS needs to phase out the current leases and as they expire, take back and administer the approximately 28,000 acres of “pastoral zone,” on behalf of the American public who paid for it. During the time of phasing out ranching leases, the NPS must ensure a peaceful co-existence between cattle and wild animals, including tule elk. As the true historic grazer, the tule elk are native and belong in this area, not cattle. Ranchers have an obligation to co-exist and be complimentary to the native wildlife, not the other way around. Thus, there is no need for “relocation” or any other “removal” of tule elk. Should the need arise to reduce the tule elk population at some point, no lethal methods may be employed. Instead, cost-efficient and effective immunocontraception should be implemented as was done successfully between 1998 and 2000. I ask that you discontinue private ranching operations and restore the coastal prairie to a large natural preserve in close vicinity to the San Francisco Bay area for the wildlife and people to enjoy. This group either didn’t do its homework or purposely presented a false message. Point Reyes is a National Seashore, not a National Park. Its Pastoral Zone was created specifically to protect the ranches, to avoid harming the area’s agricultural economy and to increase local support. Nor is it true that the Pastoral Zone resembles a “blasted landscape.” At their website, Western Watersheds takes this lie even farther, with claims such as: “The so-called ‘Pastoral Zone’ is a visual blight, harms water quality, and limits recreational uses of this national treasure.” These claims are untrue. Recipients of the anti-ranch talking points would also never know that the elk in PRNS are a recently re-introduced species, that the Seashore has done a poor job managing its elk experiment, or that an elk management plan that has been in place since 1998 promised to protect the ranches from the elk. Nor, of course, would they ever know that PRNS has broken that promise, and that the ranchers are suffering elk-related losses. The ranchers fully understand that the public loves the elk and that the park is invested in the tourist attraction it has created. They are not asking for the elk to be removed from the Seashore. 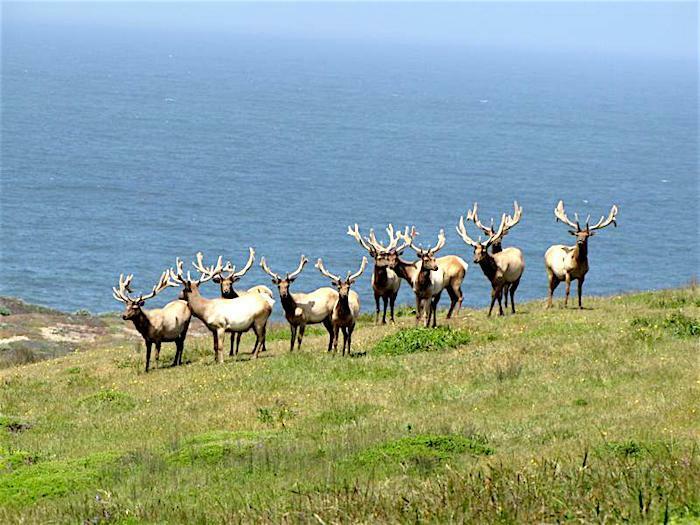 All they want is for the re-introduced elk to be managed properly, as the Seashore promised it would do when it began its experiment with the free-roaming elk in Limantour wilderness that have now (predictably) spread to the Pastoral Zone. All they are asking is that the elk be prevented from killing their cattle, destroying their fences, and grazing on the pastures and hay that the ranchers care for and pay for. In their disregard for the truth, their use of a false narrative, and their abuse of the NEPA process, the tactics of the anti-ranch activists closely resemble those of the anti-oyster-farm activists. But at least the oyster-farm adversaries didn’t pretend they weren’t working against the oyster farm. This is disingenuous in the extreme. These groups are clearly working to stop ranching at the Seashore. Indeed, eliminating ranching on public lands is the stated goal of the Western Watershed Project as an organization. The Point Reyes ranchers have waited long enough. When Secretary Salazar promised 20-year permits in November 2012, the ranchers thought that settled the matter. Instead, they have been kept hanging all this time, with short-term authorizations that limit their ability to plan and operate their ranches. Now the anti-ranch activists are suing to stop that process and start a new one, presumably one they feel they can better control. Will they be allowed to do so? Their suit attempts to force an update of the Seashore’s General Management Plan; historian Laura Alice Watt’s forthcoming book The Paradox of Preservation shows that when a General Management Plan update was initiated back in the late 1990s, a similar campaign of anti-ranch letter-writing was launched by a number of environmental groups. 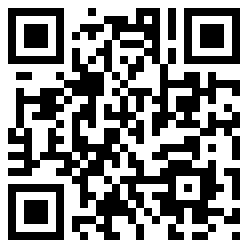 This is a time-tested tactic used by special interests to shape the Seashore’s management into a particular direction. Point Reyes National Seashore was made possible by its multi-generation ranching families. Through their motion to intervene in the lawsuit, these families are seeking a seat at the table. The ranchers are the true stewards of this land and the leaders of this community, and have been for generations. The anti-ranch groups have every right to their own opinion, as the saying goes, but not to their own facts. Sarah Rolph is writing a book about the historic oyster farm in Point Reyes that was rescued by, and then taken from, Kevin Lunny, who is also a third-generation Point Reyes rancher.